Thanks to the old headlight falling off on the way home from the shop (yes, that really happened), I’m installing a new headlight today. First up was replacing the crumbling socket, so some soldering was in order. 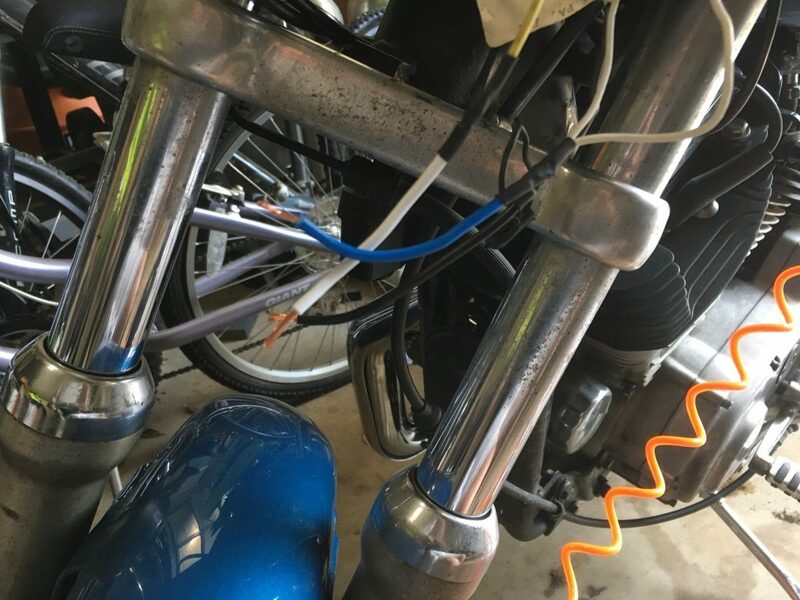 Nothing too horrible, three wires and some shrink tubing. 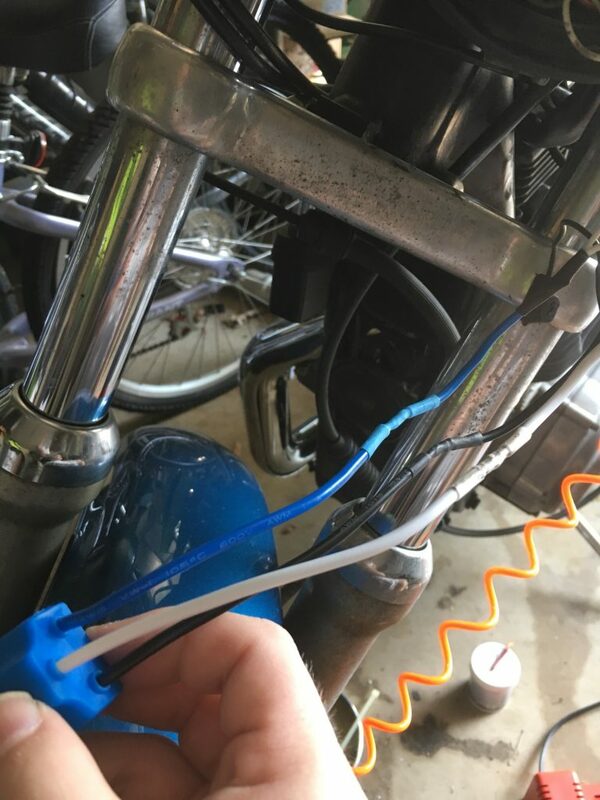 Once that was out of the way, I could install the new one. I’d initially picked up one of MoonsMC‘s Moon Maker 2s, but it wouldn’t fit in the headlight bucket. 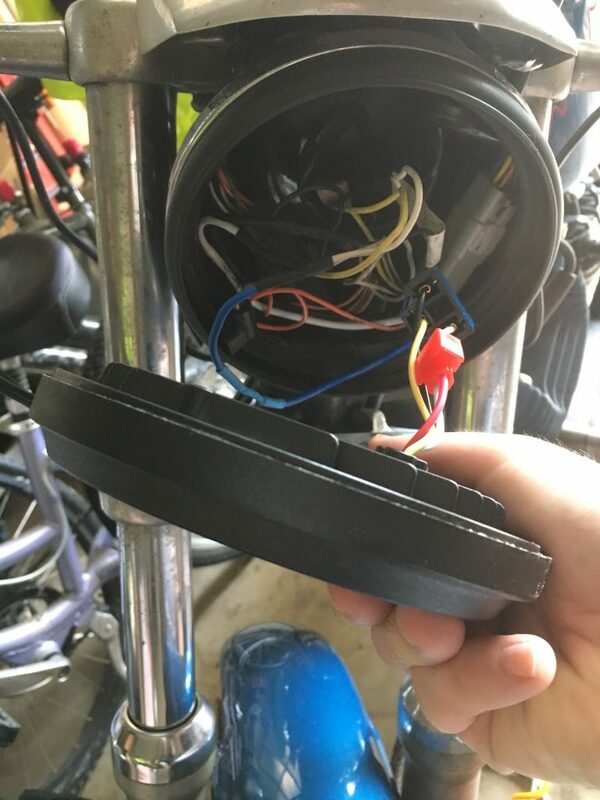 There’s just too much wiring in there, and I wasn’t about to try to cram it in. MoonsMC was super easy to work with, agreeing to swap it out for one of their Fly Eye units. That one is very thin, approximately two inches, which means that there’s plenty of room in the bucket. I plugged it in and did a quick test to make sure that it worked. Once I was satisfied that it was functioning as it should, I popped it in the bucket, and tightened everything up. It’s much brighter than the stock headlight was, which really wasn’t much of a stretch, because that thing was pretty weak by modern standards. I really can’t say enough about MoonsMC. 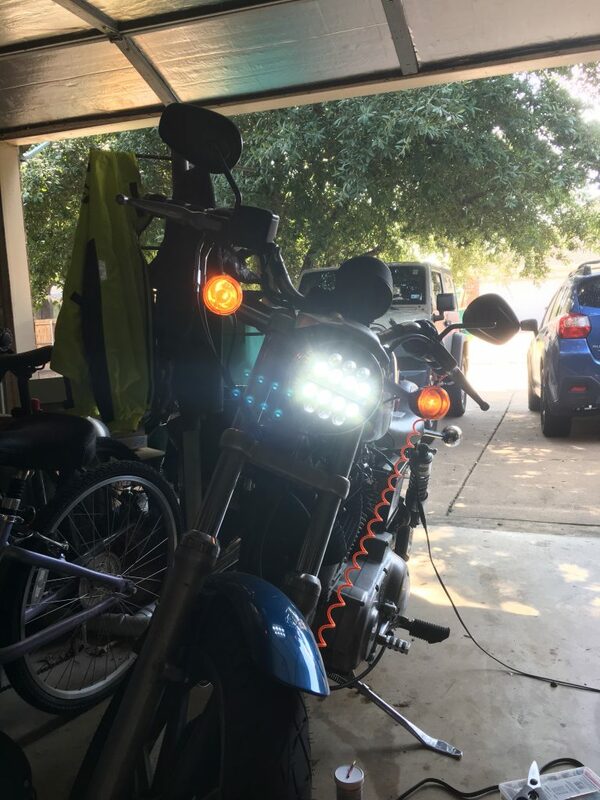 They’ve been awesome to deal with, and if they ever make LED lights for my Fat Bob, I’ll buy them in a heartbeat. 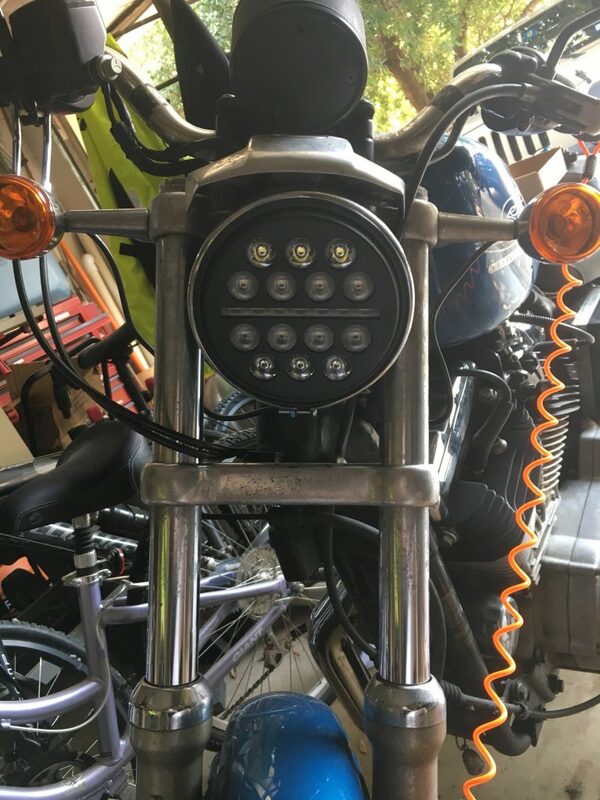 If you’ve got an older bike that you want to update your headlight on, please give them a look. I don’t think you’ll be disappointed. Awaiting a new headlight socket. Spiffy soldering job, with matching shrink tubes. The Fly Eye – It’s super thin!